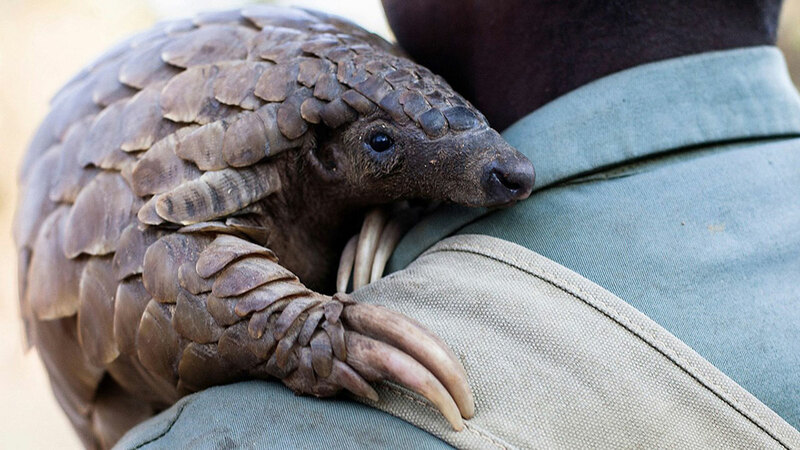 The pangolin, which is being hunted into extinction, may have gotten a reprieve. JOHANNESBURG – The pangolin is described as the most heavily trafficked mammal in the world. The nocturnal, ant-eating animal got a much-needed boost Wednesday at a U.N. wildlife conference that approved a ban on trade in all eight species of Asian and African pangolins. The small creature is heavily poached for its meat and scales that are used in traditional medicine in parts of Asia. There is also a market for pangolin products in Africa. Delegates approved a ban on trade in seven pangolin species by consensus at a meeting of the Convention on International Trade in Endangered Species of Wild Fauna and Flora, or CITES. Debate on trade in one of the Asian species of pangolin went to a vote, and only Indonesia objected. China, a major consumer of pangolins, as well as Oman, Japan, Namibia and Madagascar, abstained. Two suspected wildlife smugglers are pictured standing next to their car with dozens of endangered pangolins in Vietnam. The meeting of CITES, which regulates wildlife trade, ends Oct. 5. About 180 countries are participating in the conference. The pangolin decision is expected to be approved at a plenary session next week. Pangolins are the most “heavily trafficked mammal in the world,” said Colman O’Criodain, an expert with the WWF conservation group. More than one million pangolins have been slaughtered in the past decade, according to some estimates. O’Criodain said the next step is for countries to implement the ban on trade, as well as move against illegal trafficking in pangolins. Nearly 20 tons of pangolin scales — which are made of keratin, a protein also found in human fingernails — were seized from illegal shipments originating from Africa between 2013 and this year, according to U.S. officials. It’s believed the scales came from as many as 39,000 pangolins.